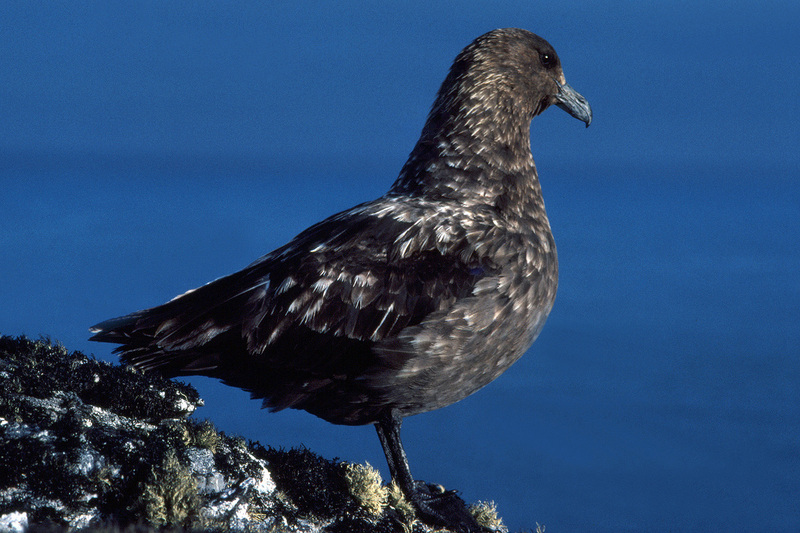 The Antarctic skua (Catharacta maccormicki) is the size of a largish gull. 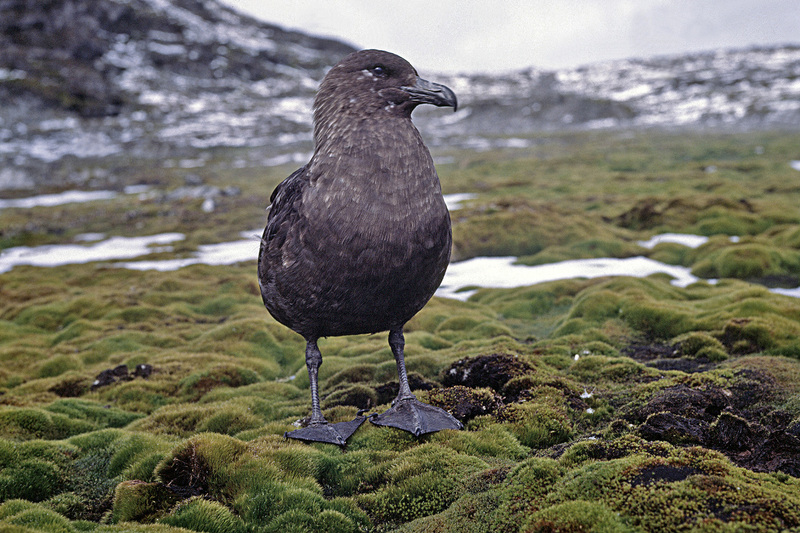 They nest all around continental antarctica and breed into the deep south. They are excellent fliers and have occasionally been sighted deep in the interior hundreds of miles from anything other than ice. One of their feeding techniques is to chase and bully other birds into regurgitating the contents of their crop, a strategy successful with some species that are in themselves excellent fliers. They tend to have a reputation as being fierce and aggressive birds, which is somewhat unfair. I see them more as characters who stick up for their own corner and look after their own - no more or less than humans do. 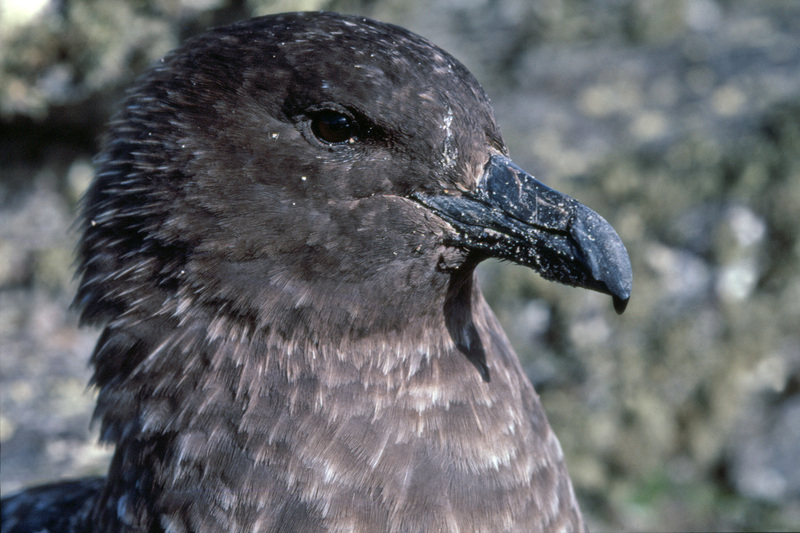 Often a visitors first sight of a skua is at a penguin colony where they usually are nesting nearby. They hang around as a dark presence looking for unguarded eggs or weak or isolated chicks to prey on, which is a very productive means of finding food, but does their reputations no good at all. Photo; Â© Paul Ward - Pictures taken on Signy Island, South Orkneys, Antarctica.